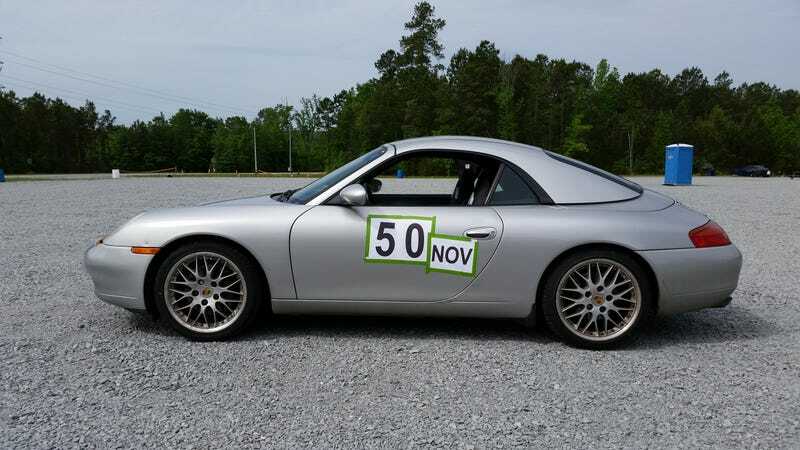 On Saturday I did my first ever autocross at the North Carolina Center for Automotive Research with the Tarheel Sportscar Club. I had planned to take my own car, a 2000 Audi A4, but I was offered something much, much better. It all reminded me of Doug DeMuro's Ferrari experiment. My buddy Steve went out of town last week and I'm watching his two dogs for him. He wanted to pay me, but I wouldn't hear of it. Instead, I jokingly told him he would have to give me his car. Steve, being the great person he is, told me to take it for the duration. The day after I talked to him, another friend asked if we wanted to go autocrossing on Saturday. Obviously, Steve was going to Florida, so he was out, but he told me to take his car and run it, as long as I didn't kill the clutch. I was over the moon. Saturday rolled around and Joel and I headed to the sprawling metropolis of Garysburg, NC. We both were in the 3rd run group, so we watched first, worked second, and ran third. That same S2000 later spun in that exact spot and nearly hit that guardrail on the left side. EDIT: Here's the in-car video from the incident. Due to some kid of miscommunication Joel and I didn't get relieved out on the course when our run group came up, so by the time we got over to the course start, most everyone had done 3 of their 6(!) runs. I ended up doing my last 3 nearly back to back to back. On the 6th run, the one in the video, the tires were greasy as hell. My first time was a 1:21 and I completely missed a gate. I missed the same gate on run 2. My times kept coming down and on my 6th and final run, I ran a 1:13.316 clean. I just looked at the results and through raw times, I finished 52nd out of 87 entries. Not great, but I'll defend myself by saying it wasn't my car, and the majority of the miles I had ever driven it were done on the way to the event. I can't wait for the next autocross, this time in my own car.